The University of Maine at Presque Isle is taking a bold step toward college affordability and accessibility for Maine students and families, and strengthening its commitment to on-time degree completion and the needs of the Maine workforce, with the announcement today of The Way It Should Be, the state’s first comprehensive program that provides free and significantly reduced tuition for eligible Maine families. First-time, full-time college students who are Maine residents and Pell Grant-eligible will be able to take advantage of free tuition and no fees, saving them nearly $8,000 per year, while other Maine students may be eligible for $3,084 or more in financial aid packaging, which would reduce their tuition and fee costs by nearly 40 percent or more. The Way It Should Be is a major component of the University’s Finish in Four initiative, and is expected to keep students on track by incentivizing them to complete 30 credits per academic year. Coupled with UMPI’s career-focused curriculum—UMPI has the highest percentage of students per total population who engage in service learning/internships and research across the University of Maine System—and learning outcomes that align with workforce expectations, the program will help to prepare Maine students to serve as the next generation of Maine professionals. 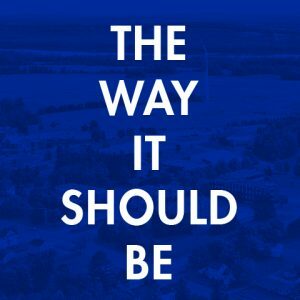 The Way It Should Be program joins a growing number of free tuition college programs taking shape across the country and is key in the University of Maine System’s efforts to meet the needs of Maine’s graduating high school population. 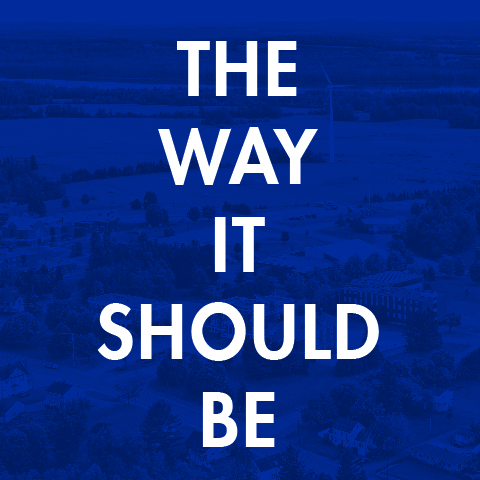 The Way It Should Be program includes two awards: the Free For Four Award guarantees that first-time, full-time Pell Grant-eligible students from Maine will receive an annual financial aid package of $7,884, which covers the cost of tuition and fees for the academic year. With the program’s For Maine Families Award, similar Maine students who are not Pell-eligible and have an Expected Family Contribution of $20,000 or less may be eligible to receive an annual financial aid package of $3,084 or more. Both of these awards are based on the completion of 30 credit hours per academic year. The University has provided similar financial aid awards for many years to its students and is able to present this unique offering to Maine Pell and non-Pell eligible students by investing its financial aid resources strategically. Pell Grants are awarded to students who haven’t already received a Bachelor’s degree and have a demonstrated financial need. Pell eligibility involves many different variables, including income, expenses, cost of attendance, and family size. The University has established several parameters in order for students to participate in the program. Applicants must be in-state, first-time, full-time students who will start college at UMPI during the Fall 2018 semester and complete 15 credits per term, delivered by UMPI (at least 30 credits each year). Applicants need to submit the Free Application for Federal Student Aid (FAFSA) and complete a financial aid application at UMPI by March 31. Open to U.S. citizens or eligible non-citizens, applicants must be residents of Maine who have lived in the state for 12 continuous months prior to acceptance at UMPI; be graduates from a Maine high school (or earned a high school equivalency diploma); meet all other general eligibility requirements of the Federal Title IV Financial Aid Programs; and maintain a GPA of 2.0 while at UMPI. The Way It Should Be program follows other UMPI cost-saving initiatives meant to serve students and ensure they can graduate with the lowest debt possible. Three years ago, out-of-state and international students saw a 40% reduction in their tuition rate after UMPI simplified its tuition structure. They now pay just $11,995 in tuition and fees. In addition, UMPI has established a Transfer Achievement Scholarship, providing $2,000 scholarships for students directly transferring from other colleges, in-state and out-of-state. Just last month, UMPI announced its flat-tuition, $2,000 per semester online Competency-Based Education Business Administration Bachelor’s degree program, specifically designed for adult learners. And, earlier this month, UMPI again received a top ranking from U.S. News and World Report as one of the top Regional Colleges in the North for graduates with least debt; UMPI was ranked #3 in this category, which was based on schools whose Class of 2016 graduated with the lightest debt load. For more information about The Way It Should Be program, visit www.umpi.edu/forME or contact the Office of Admissions at 207-768-9532 or umpi-admissions@maine.edu.